The 2018 Erzberg Rodeo was won by Husky’s Graham Jarvis. 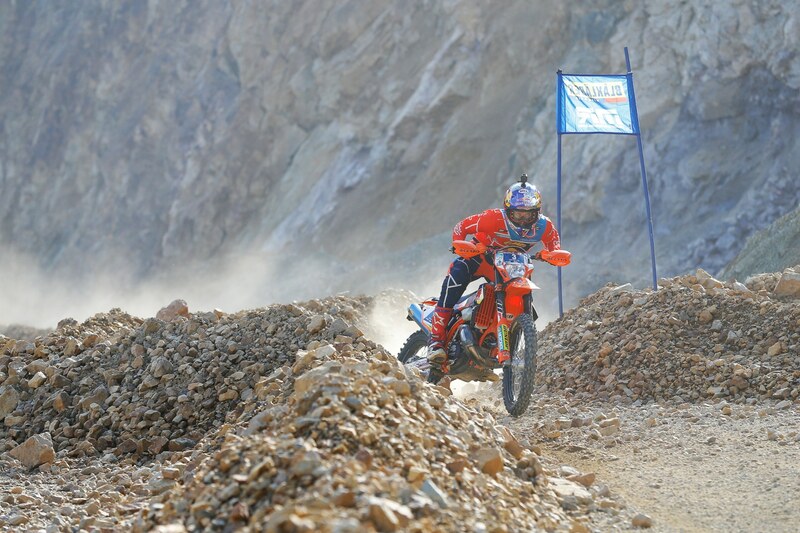 Jonny Walker finished second and Manuel Lettenbichler finished third. 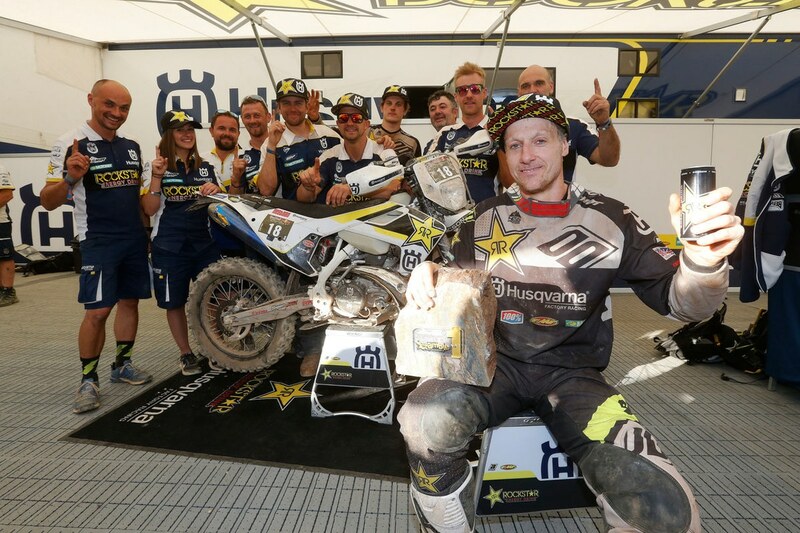 Rockstar Energy Husqvarna Factory Racing’s Graham Jarvis has claimed victory at here in Austria for the Erzberg Rodeo Hare Scramble. 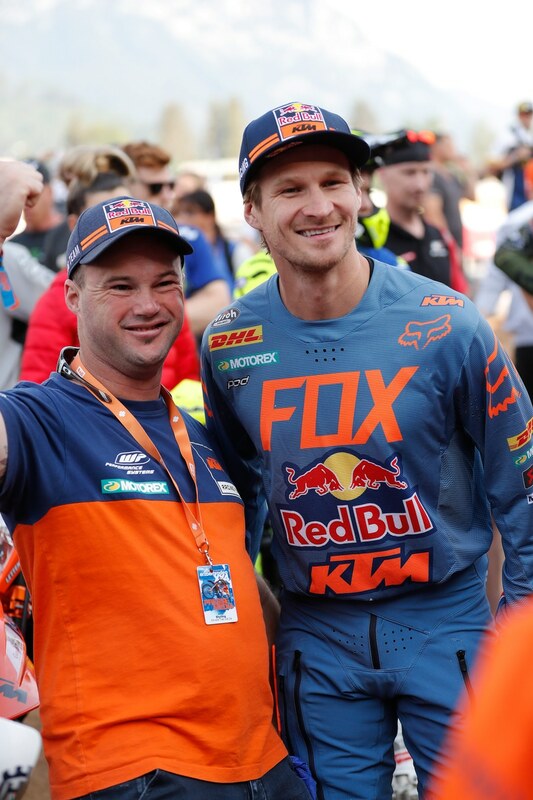 In what was a dramatic, action-packed and unpredictable race, Jarvis put on a late race charge to take the win by just 41 seconds from Red Bull KTM Factory Racing’s Jonny Walker with early pace setter Manuel Lettenbichler finishing third. American Colton Haaker won the prologue but didn’t fare well in the Hare Scramble. Under sunny skies and hot temperatures, the 24th edition of the Erzbergrodeo Red Bull Hare Scramble saw the 500 qualified riders blast off the start line at 14.30 hours. With all the main contenders in this year’s WESS securing a front row start during qualification, it was Taddy Blazusiak who made his move early, taking the lead. But with Walker hot on his heels, plus WESS round one winner Bill Bolt (Husqvarna – GB) and Lettenbichler right in contention, any hopes of breaking away from the chasing field were quickly ended. During one of the early technical woodland sections, the young guns of Lettenbichler and Bolt moved past both Blazusiak and Walker to take up the lead. At Checkpoint 15 of 25, Lettenbichler and Bolt had built up a lead of one-minute over Walker while Sherco Factory Racing’s Wade Young overtook Blazusiak for fourth. However, with Checkpoint 19 forming the formidable Carl’s Dinner boulder garden, the race was anything but over. After a bad start, Jarvis was beginning to cut his way through the pack and was closing on the leaders. Past Erzberg Rodeo past champ, Taddy Blazusiak lead for a while at the start of the race. At Checkpoint 21 – Green Hell – the race took another dramatic twist as both Lettenbichler and Bolt became stuck on the near-vertical woodland climb. Jarvis, now in third, heroically pushed his way past the stricken duo to the top and took the race lead. Walker, following suit, tried to apply pressure to the Husqvarna rider during the final two signature sections Dynamite and Lazy Noon but Jarvis kept his cool to cross the finish line in an astonishing time of two hours, five minutes and 59 seconds. Winner of round two of the World Enduro Super Series, Jarvis also secured his fourth Erzbergrodeo Red Bull Hare Scramble victory. Finishing just 41 seconds behind, Walker claimed the runner-up result and in turn took control of the WESS championship standings. Regrouping after the punishing Green Hell section, Lettenbichler was able to cross the finish line three minutes behind Jarvis in third, with Young coming home in fourth. Bolt, seeing his chance of winning lost in Green Hell, completed the top five. Passing both Blazusiak and Mario Roman (Sherco – Spain) in Green Hell, Beta Factory Racing’s Travis Teasdale (RSA) finished sixth with Paul Bolton (KTM – GB) seventh. USA’s Cody Webb was unable to race as he got injured during the prologue event breaking his foot and finger. After a promising start, Blazusiak eventually ended his race in eighth. 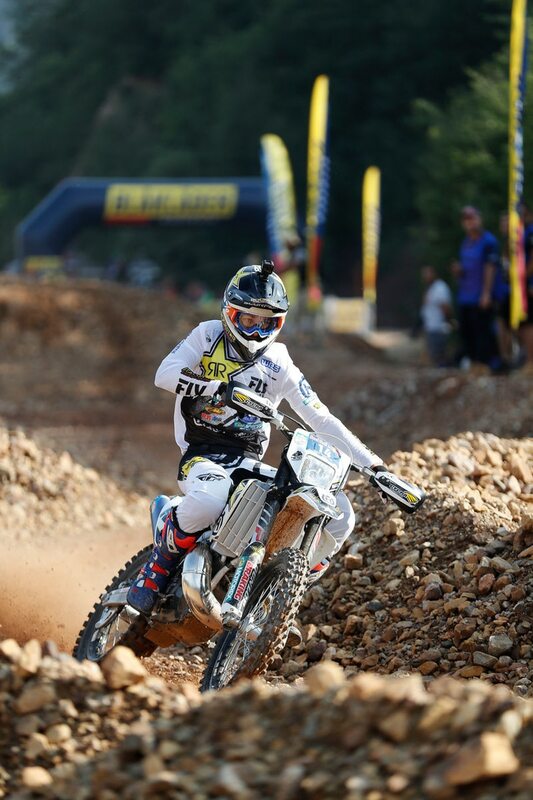 Spain’s Pol Tarres (Husqvarna) took ninth with Roman dropping back to 10th in the closing stages of the race. 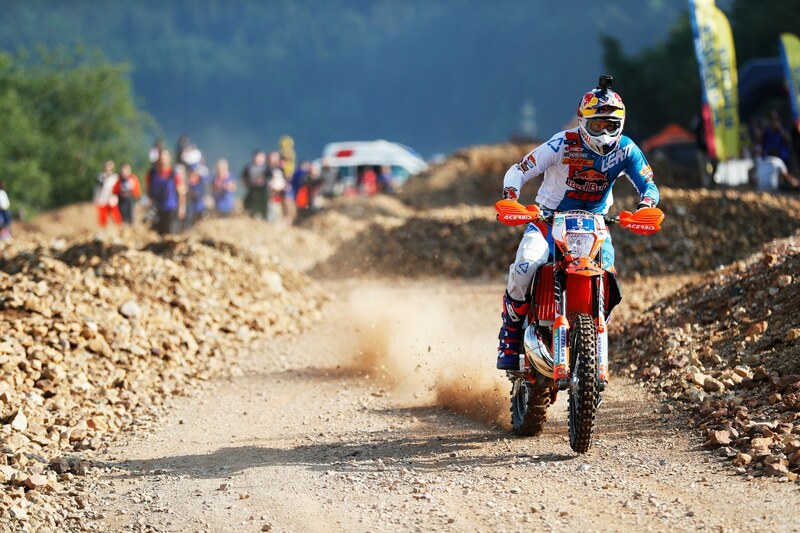 In total 23 riders completed this year’s Erzbergrodeo Red Bull Hare Scramble within the four-hour allotted race time. England’s Johnny Walker finished second.